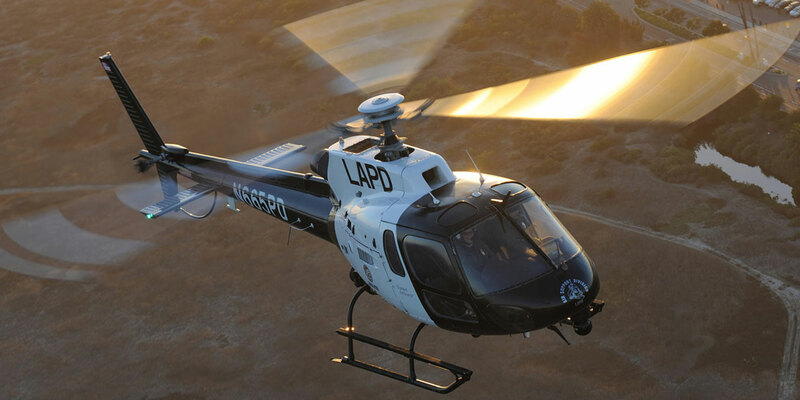 With one of the world’s largest aircraft fleets dedicated to municipal law enforcement, the Los Angeles Police Department‘s Air Support Division operates 19 helicopters, most of which are Airbus H125s née AS350. Airbus Helicopters Inc., the North American arm of Airbus Helicopters, delivered 55 civil rotorcraft into the U.S. and Canada last year. “One-third of the helicopters we delivered were air medical, another third were law enforcement, and the final third were actually private aviation and VIP,” said company president Chris Emerson, who added Airbus continued its dominance of the parapublic sector, winning 70 percent of available orders in the market. According to Emerson, an uptick in orders from private customers for executive and VIP ships insulated Airbus from sales erosion in what remains a wobbly market. “If you look at any of the years prior to 2016, our share of private aviation was traditionally around 10 percent. It is thanks to that market that we have been able to hold a steady line in new orders and deliveries, because of the new customers we have been adding," he said. "Half of the new customers we added in 2017 were new to helicopters. We went after the fixed-wing marketplace and high-net-worth individuals who owned business jets but didn’t own helicopters and converted them into the helicopter market,” Emerson pointed out. Looking forward, with the exception of private customers, “2018 looks very much like 2017, zero growth and light replacement needs,” he said. “I see replacement waves coming with air medical, where some of these air medical aircraft are getting to the point where it makes financial sense to replace them. Emerson said he does not see any cannibalization of company’s law enforcement market by the growing use of unmanned aircraft systems (UAS). “The agencies we deal with tend to require more payload and agility in the way they perform their mission and fly the H125—be it guns on board, electronic equipment, forward looking infrared (FLIR), being able to pick up an arrest, being able to go beyond the pure patrol mission that very light single helicopters fly. Those are the helicopters most unlikely to be replaced by UAS. The latest wave of law enforcement orders are going to our AS350B3e because they need that extra power and performance for the missions they are doing,” he said. Law enforcement orders are providing more work for Airbus’s Columbus, Mississippi assembly plant. Last year, the company moved the H125 completions center to Mississippi from Grand Prairie, Texas, and it recently completed a Los Angeles Police Department H125 there. Emerson believes completions of civil H145s at Columbus would be the next logical step given that it is also the production site of a military variant, the U.S. Army’s UH-72A Lakota. Similarly, if market demand justifies it, the H130 could also eventually be completed and/or assembled in Columbus. “For us to cut in the H130 into the H125 line is very easy. The tooling is there. What I need to see happen is a revitalization of demand for the H130. I believe that will come with the air medical side. We are starting to see the benefits of that wider single engine cabin in the air medical sphere,” he said.